In the recent decade, apart from the mesmerizing achievements in the field of transportation, communication, health status, entertainment and sports, Dharan has gone through remarkable advancements in the field of education as well. 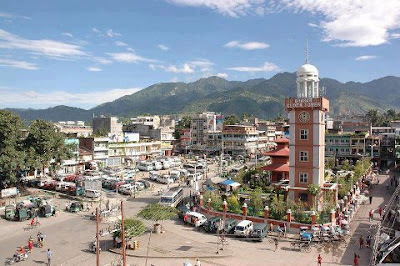 Dharan has five public colleges and university (three under Tribhuwan University, one under Nepal Sanskrit University and one with deemed university status B.P. Koirala Institute of Health Sciences ), it also has several private colleges with affiliation conferred by other national universities and more than 40 public and private secondary schools. It also has 9 private and 1 public library and 3 special education centres. It has more than 5 technical school affiliated to Council for Technical Education and Vocational Training (CTEVT). Among them, Public High School & Sharada Baalika Higher Secondary School are the most notable educational institution in the town of Dharan. Dharan is the major centre in the field of Medical education. Nepal’s largest medical college, BPKIHS has been serving the nation since 1993 AD. Large numbers of Doctors, Nurses and other health related officials are produced annually. BPKIHS provides an enviable platform to the medical students from Nepal as well as other SAARC countries. It offers the programs of MBBS, BDS, BSc. Nursing, Bachelor in Nursing, BSc. MIT, BSc MLT. Similarly, several Masters Program and MD in various fields of medicine are part of curriculum of BPKIHS. Mahendra Multiple College (MMC) (estd. 2012 B.S.) is one of the oldest public colleges which is home to thousands of students from all over Nepal offering courses in Bachelors (BA, BBS, LLB) and Masters Level (MA English, MBS, MA Nepali, MA Economics) and one year Bachelor of Education B.Ed. programs. Likewise, Central Campus of Technology is most commonly known as Hattisaar Campus, which serves as a Science and Food Technology Campus. It offers Bachelors in Physics, Microbiology, Nutrition and Food Technology and, Masters in Food Technology as well as Microbiology. Throughout Nepal, Bachelors in Nutrition is studied only in Hattisaar Campus. Dharan also produces a large numbers of Engineers. Purwanchal Engineering Campus,with its highly expert faculty has programs for B.E. in Civil Engineering, Electronics and Communication Engineering, Mechanical Engineering, Computer Engineering and Agriculture Engineering. Despite this fact, in this highly modernized world of 21st century, Dharan offers rare course of Sanskrit to the interested students. Pindeswor Vidyapeeth (affiliated to Nepal Sanskrit University) serves the nation in this regard. This has helped in maintenance as well as preservation of Nepali culture. Above all, taking special concerns regarding the disabled children, Purwanchal Deaf School of Dharan has not only taken care of the education of the deaf children but has also paved the way for other major institutes to get involved in such humanitarian and indispensable task. In a nutshell, it can be well understood that Dharan has been one of the most important decentralized cities, which has been providing immense opportunities to the Nepali students. Dharan has gloriously upgraded the career of thousands of Nepali students and will be serving the nation with more efficacy in the future.